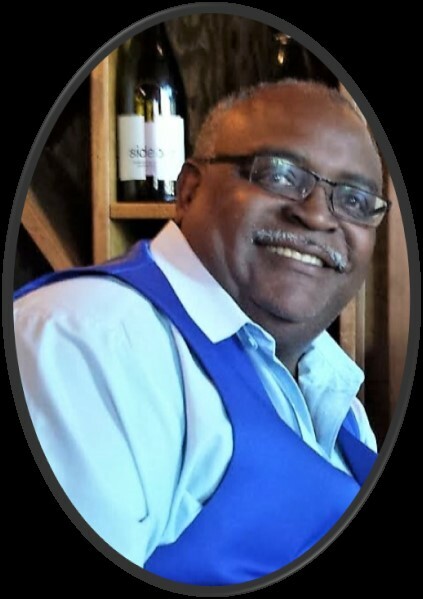 Robert Allen Tidwell, 56, affectionately known as “Bob”, fell asleep in death on Friday, September 7, 2018. He was born on July 13, 1962 in St. Louis, Missouri, the son of Roosevelt Tidwell and Rosa Lee (Tidwell) Keys. Bob was baptized as one of Jehovah’s Witnesses at Woodburn Assembly Hall in 2007 and enjoyed many privileges of service. He was serving as a ministerial servant at the time of his death. Bob fought the fine fight of faith by remaining loyal to Jehovah to the very end, even when it meant his life. Bob married the love of his life, Phillis, on August 22, 1981. They were married for 37 years. Together they loved and raised three children: Tyson Allen Tidwell (Tiffany); Olivia A. Tidwell; and Savannah Nicole Tidwell. Bob worked as a Computer Engineer for Daimler Trucks North America for many years. Bob enjoyed fishing, singing, playing the guitar, cooking, hiking and camping. His smile was bright enough to light up any room. He found great joy in preaching about the good news of God’s Kingdom, especially the resurrection hope and living in a world of true peace and security. Bob was preceded in death by Roosevelt Tidwell, Sr., his father; Roosevelt Tidwell, Jr., his brother; and John Keys, his stepfather. Bob is survived by his wife, Phillis Tidwell; his mother, Rosa Lee (Tidwell) Keys; his children: Tyson (Tiffany) Tidwell, Olivia A. Tidwell, and Savannah Nicole Tidwell; one grandson: Tyson Tidwell, Jr. (TJ); siblings: Cora Buchanan, Raymond (Betty) Tidwell, Larry Tidwell, Evelyn Johnson, Vanessa (Rodney) Williams, Patrice (James) Thomas, Denise (Bert) Adams, Kimberly (Arvel) Richardson, and Michael (Andrea)Tidwell. He also leaves behind a host of in-laws, nieces, nephews, friends and a worldwide brotherhood. A service will be held on Saturday, September 22, 2018, 3 pm, at The Kingdom Hall of Jehovah's Witnesses, 1405 Penny Road, High Point, North Carolina 27265.